We are halfway through the summer, which means preparing for those much anticipated or last minute vacation plans. Patchington is here to help you “Pack for Paradise” with their Summer Fashion Event, July 12ththrough July 14th. You won’t want to miss the opportunity to score up to 30% off of their colorful, comfortable, and contemporary classics! If you’re headed to a tropical destination, the Lulu-B collection will be your go to. 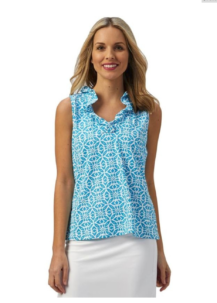 These UPF 50+ tops are fabulous for layering, easy-to-wear, and come in an assortment of colors and prints. Pair the top with your favorite pant and enjoy a look that is fashionable, fun, and protected by the sun! When trying to pack outfits that will take you from day to night, look no further than the Destination Collection. The collections’ casual-to-dressy selections have a number of options to cover any item on your vacation itinerary. 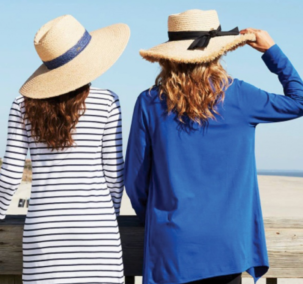 The best part is…all clothing in the Destination Collection is wrinkle-free, easy to pack, and versatile for every wardrobe. To shop the “Pack for Paradise” event, stop by Patchington, located on the north side of The Village Shops in suite 204. For more information about the sale, please call Patchington at 239-434-7182.